Fish oil supplement need not have a fish odor. 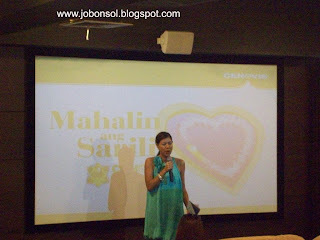 Leading pharmaceutical company Sanofi-Aventis Philippines launched Cenovis Fish Oil to media and bloggers at Blue Water Day Spa in Ortigas yesterday. 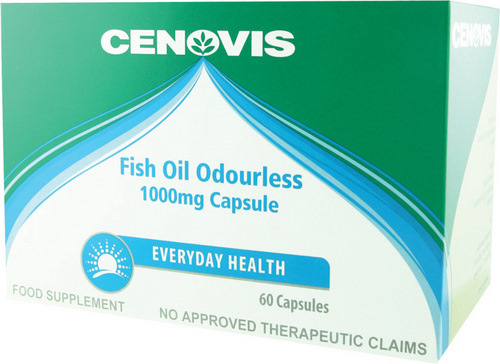 Cenovis Fish Oil- an all-natural supplement, contains the rich, concentrated goodness of Omega 3 DHA and EPA essential fatty acids with numerous beneficial effects on the body, from helping maintain bran health and good skin to its anti-cancer and anti-inflammatory properties. Hosted by Suzie Entrata-Abrera, the launch invited the key opinion leaders, brand managers and marketing manager of Cenovis Fish Oil to attend queries about the product and its benefits to consumers. Questions like what ages and what price is the SRP(standard retail price) were raised by the participants. Considering the therapeutic claims of Cenovis Fish Oil on high-risk patients, media was enlightened on when to use the product and its benefits on the skin. Panelists Dr. John C. Anonuevo, Dr. Gerardo Carmelo B. Salazar, Dr. Antonio H. Villalon and Marketing Manager of Cenovis Fish Oil Mr. Patrick Pantangco answered questions on diseases about the heart and other medical related questions involving the benefits of fish oil to the patient by the media participants. The said event featured a healthy buffet lunch by Lemuria, the press conference with Q & A with key opinion leaders of Cenovis Fish Oil and a foot massage to relax the media courtesy of Blue Water Day Spa Ortigas. 1. I need not buy expensive organic items like flax seed for fish oil benefits to get the recommended daily dosage. 2. I need not eat a lot of tuna and other fish with such fishy taste just to get the same health benefits I can get with Cenovis Fish Oil. 3. I want to reduce the risk of getting cancer considering my family history of breast cancer and other degenerated diseases. 4. I want to make my skin smooth and fresh-looking and I can get all these from fish oil. 5. I want to take care of my heart and cholesterol and fish oil is just the right supplement. 6. Cenovis Fish Oil is lesser than P10 and is definitely totally affordable by all walks of life. 7. I need net get a prescription to buy the said product since it is still in the category of supplements. Cenovis Fish Oil comes in individually packed soft gel capsules, each containing 1,000mg of Omega 3 Marine Cardio Protectors. It comes in packs of either 6 or 60 capsules at less than P10. This will defnitely give more Filipinos the chance to avail of the benefits of fish oil supplementation for a healthy lifestyle. Cenovis Fish Oil is now available in all leading drug stores nationwide. Visit their website here.